The office Boldarini Arquitetos Associados creates, develops and implements urbanist, architectural and landscaping projects. They stand out by developing creative and innovative solutions to complex scenarios, like the ones present in slums and illegal settlements. The website developed for the architect explores the possibility of creating dynamic compositions for each one of its pages. 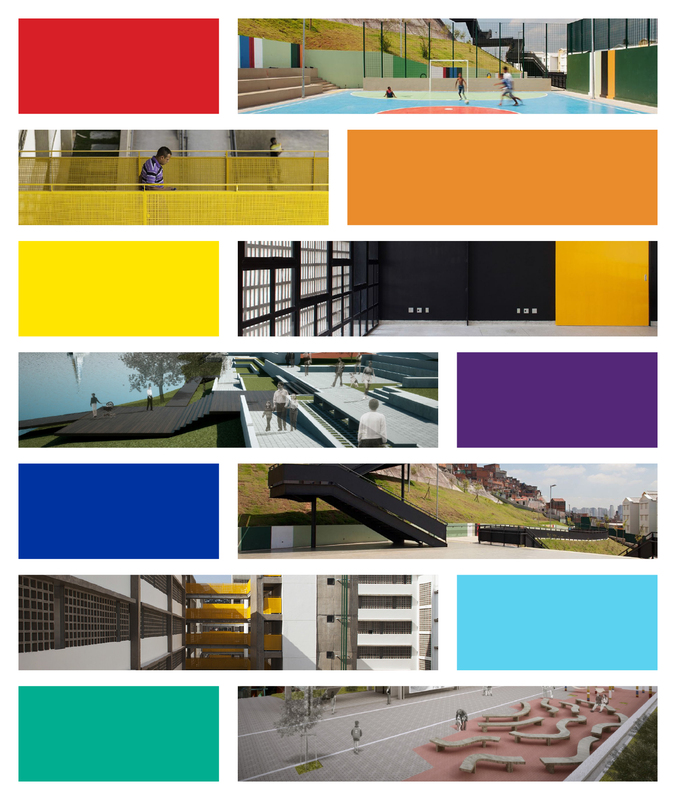 The elements of color, rhythm and proportion organise the informations in flexible and varied arrangements. Fábio Prata and Flávia Nalon graduated as architects at the Universidade de São Paulo (FAU-USP), in Brazil, and completed a Master of Arts in Communication Design at the University of Applied Sciences Mainz (FH Mainz), in Germany. In 2003 they founded ps.2 arquitetura + design, a São Paulo, Brazil based design studio that creates and develops graphic design projects for both print and digital media. Visual identity, editorial, promotional items and websites are part of the ps.2 portfolio. The studio is mainly involved on projects for clients within the cultural field: museums and art galleries, digital language and film festivals, music and photography. ps.2 work has received several national and international awards and has been published and exhibited worldwide, in countries such as Germany, France, USA, Slovenia, China and Japan. The purpose of this essay is to examine the relationship among graphic design practices, cultural institutions and public audience. The analysis of each one of these components in the context of the contemporary dynamics provides the basis for a meaningful communication strategy, one that accomplishes institutional economic and social missions, provides designers guidance in their production and fulfils audiences personal interests and social expectations.